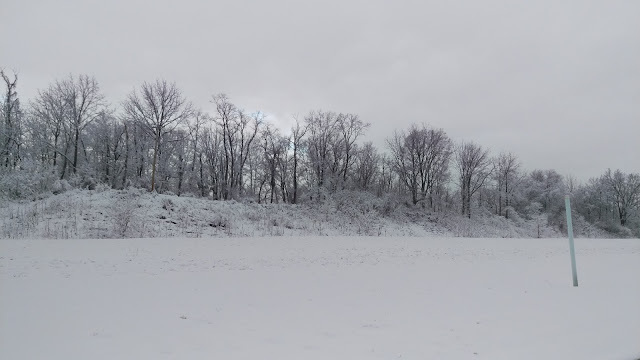 While it might be spring according to the calendar, it still feels like winter here in the mid-Atlantic! In fact, we just had over a foot of snow fall last week alone. What's that saying... in like a lion, out like a lamb? I sure hope so! As a Cold Conqueror Ambassador, I was able to try out three winter-weather brands, all designed to help keep folks active in all types of cold/wet weather. I was sent two pairs of Yaktrax: Yatrax Run and Yaktrax Pro, a pair of Cabin Socks, and two Adventure Packs full of hand, toe, and body warmers. From DryGuy, I received the Force Dry DX, the Travel Dry DX, and the Warm N' Charge, a unique portable charging device and rechargeable hand warmer. And from Falke, I was sent a pair of their Ski Touring Socks. Let's start with Yaktrax- in short, these are awesome for moving around in the snow and ice! Each pair came with a little instruction booklet but honestly, they are very easy to fit onto the bottom of your shoe and even have "toe" and "heel" imprinted on the rubber parts so you don't put them on backwards. The biggest difference that I noticed was that the Run pair had spikes and the Pro pair did not. However, when they were on, I couldn't discern any difference in performance. The Yaktrax Pro before a snowy run. Both pairs allowed me to run without a second thought to the snow and ice I was running through. I didn't have to worry about slipping or sliding at all. They really, truly work. The only draw back was snow gathering in between the "diamonds" made by the coils- every mile or so I'd have to stop and knock the snow off the middle of the underside of my shoe. But overall, these made running in the snow really fun! 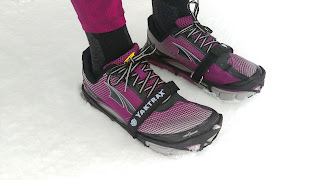 Yaktrax and Altra- a match made in heaven! Even though we didn't get the amount of snow we usually do, running in it -and through the puddles of this "spring" we're experiencing- results in wet running shoes. And wet running shoes stink. 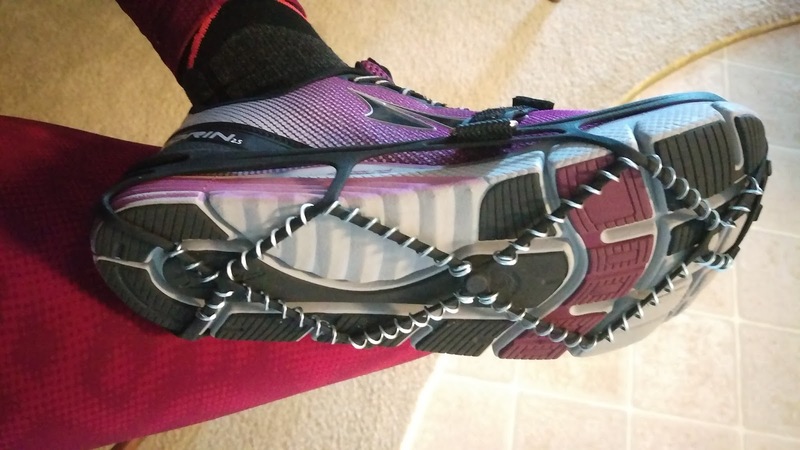 That's wear DryGuy's Force Dry DX saved my winter running game- and my shoes. The Force Dry DX uses gentle, heated forced air to dry your soggy socks, gloves, hats, shoes, whatever, in about an hour. I admit, I was a little skeptical that my snow-soaked shoes would dry that quickly but they sure did! 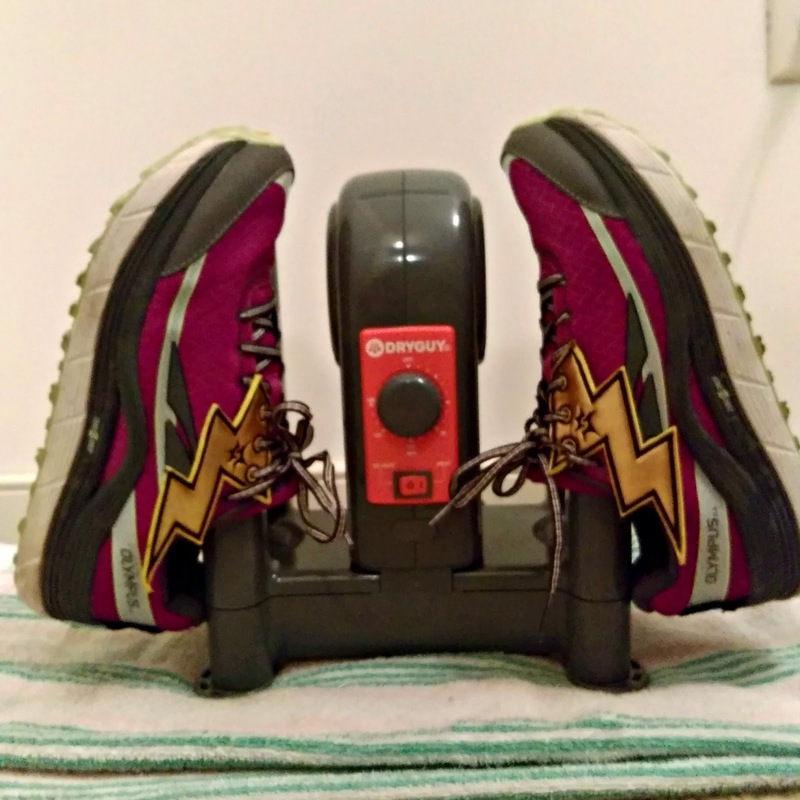 DryGuy helping thaw out my pair of Altra Olympus. I was a little concerned that the fan/motor would be loud, but I could barely hear it when it was plugged in. I've used it with shoes, gloves, and hats and I'm sure I'm going to use it more this spring, especially as we will have melting snow for the next few weeks. The cool thing about the Force Dry DX is that it allows me to run on consecutive days in the same shoes- I no longer have to wait a day or more for my shoes to dry out on their own. Pretty neat. So, I don't ski. But, the Falke ski socks have been fabulous to run in. 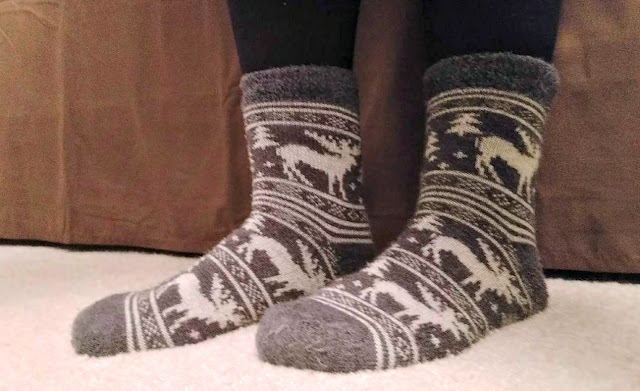 They are a thicker, woolier, version of a compression sock and keep my legs warm on those 20 degree training runs. They don't offer any fun colors (mine are black with some red stitching- you can see a little of them in the first picture in this post) but they get the job done. 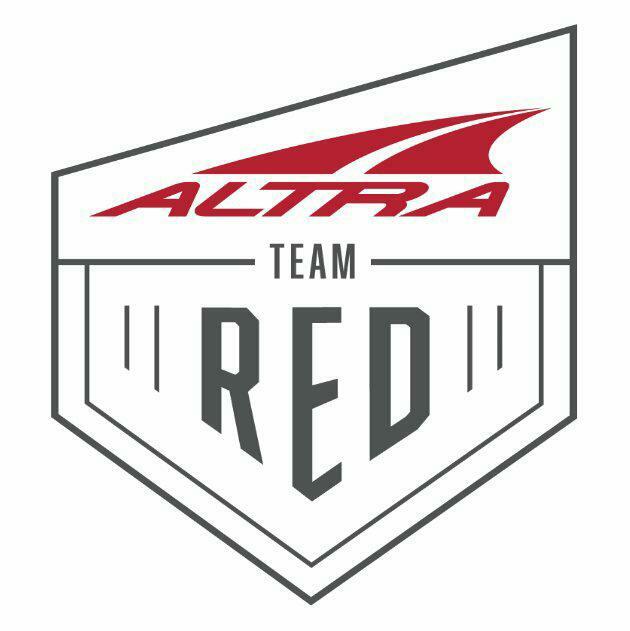 All three of these brands offer unique products that will keep you moving and keep you warm and dry no matter your choice of outdoor winter activity. So the next time you need to train through snow and cold, grab yourself some Yaktrax, DryGuy and Falke, and #conquerwinter! Note: As a Cold Conqueror Ambassador, I received merchandise to use and review. 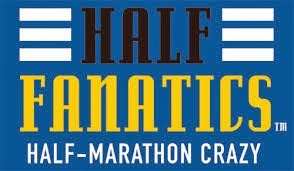 All opinions stated on this blog are my own. I found your blog earlier this year when looking for WDW marathon weekend recaps & have really enjoyed catching up on many of them. As I was looking through my alumni magazine earlier I was like 'Hmm, that guy looks familiar.' Then I scanned the others & was like 'That's Sparkly Runner!' 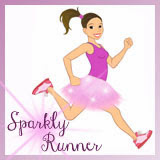 A fellow runDisney fan, Sparkle Sister and now a connection to Shippensburg, I knew I liked reading your blog for a reason! Go Ship! Hi Stephanie! That's awesome that you saw the alumni magazine! Both my husband and I are alums and we both work for SU- small world! 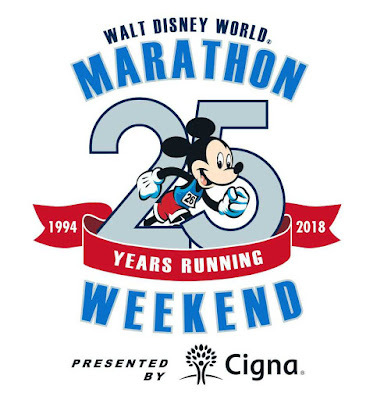 Did you run WDW this year?